This will be a milestone year for this sweet girl. 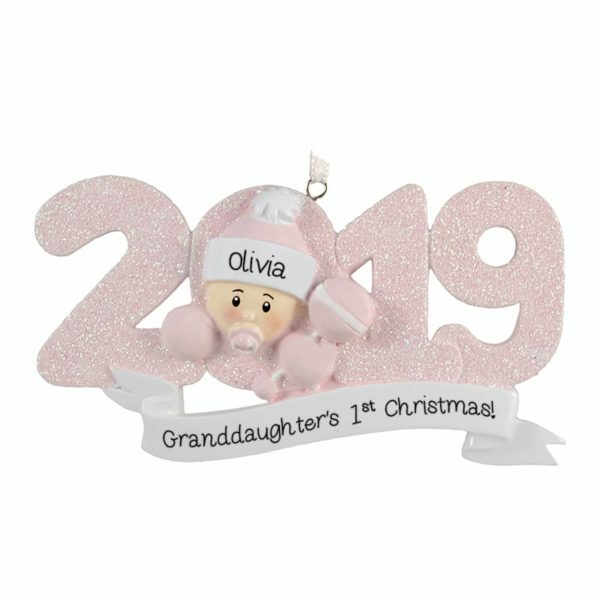 Commemorate your new granddaughter’s 1st Christmas with our Granddaughter’s 1st Christmas PINK Glittered Ornament. All customizations applied for free!